Visit Meadowcroft to watch a “base ball” (originally written as two words!) game between the Somerset Frosty Sons of Thunder and the Addison Mountain Stars. The teams will wear vintage uniforms and follow the rules commonly used during the 1860s. Enjoy food and fun in the 19th century American tradition. 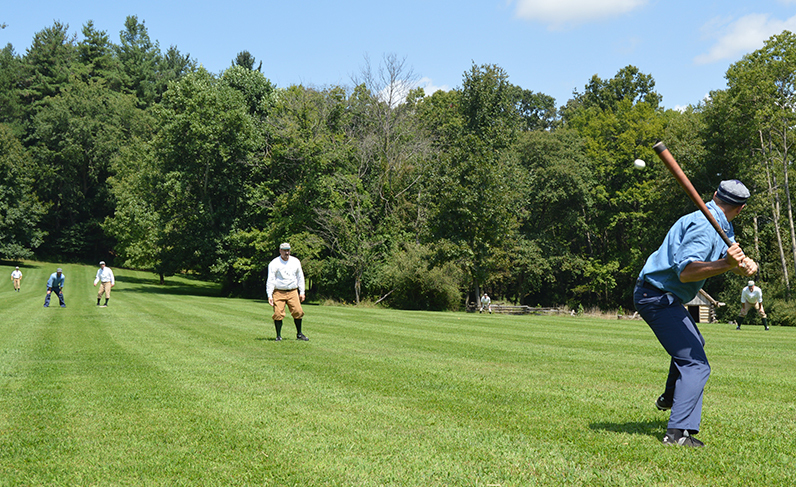 The Vintage Base Ball Day event is included with regular Meadowcroft admission.